My friends and I have lamented the fact that some people will add ginger and sesame oil to a dish and immediately call it Asian. It's not entirely accurate but I can see why you would note an Asian influence. I put together this dish simply because we had ingredients on hand and needed a quick dinner. Is it considered an Asian dish? I don't know really. I did call it a stir-fry since that's what I ended up doing. 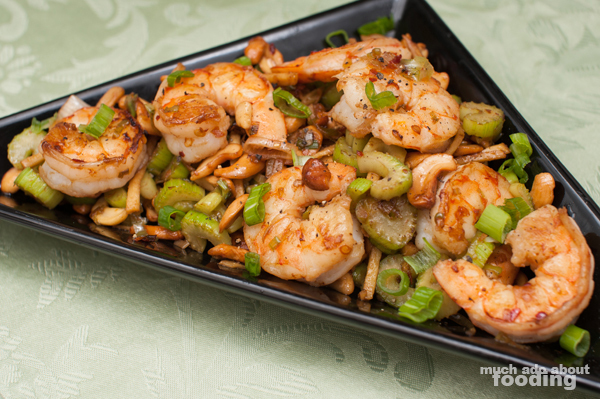 I love the combination of hearty, fat shrimp with celery and cashews, especially since my mom used to make something similar when I was younger. I added in a bit of a spicy kick to it too with chili pepper. Hope you'll enjoy this recipe. Devein shrimp, remove shells, and butterfly cut. 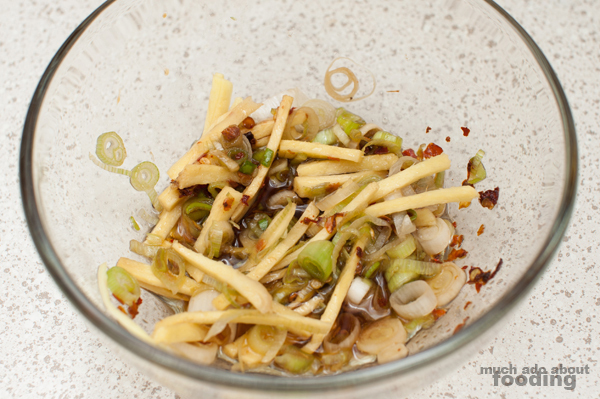 Julienne ginger and slice scallions; separate whites and greens. 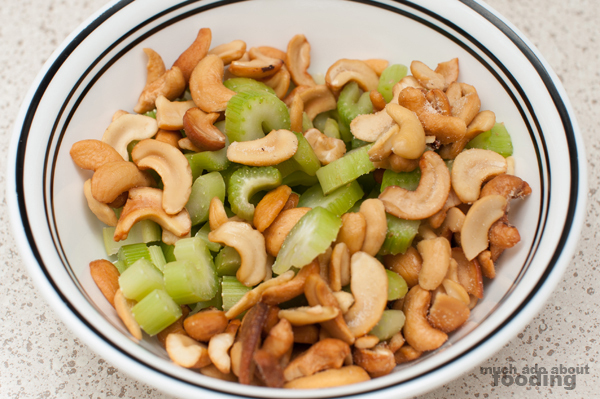 Slice celery and break cashews (if desired). 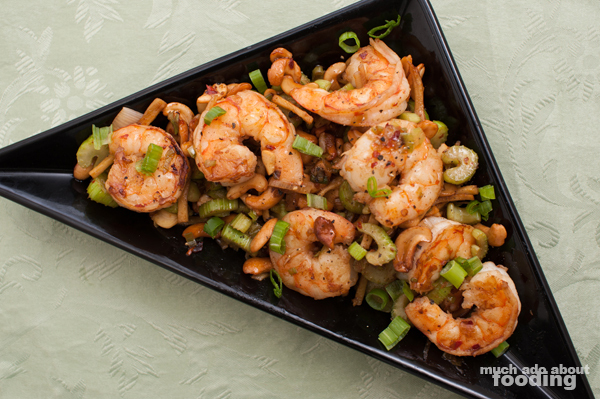 In a mixing bowl, combine soy sauce, sesame oil, ginger, garlic, red pepper, and scallions. In a medium-sized skillet on medium heat, add oil. When shimmering, cook celery and cashews together for 3-4 minutes so the celery retains its crunchiness. Remove from the pan. 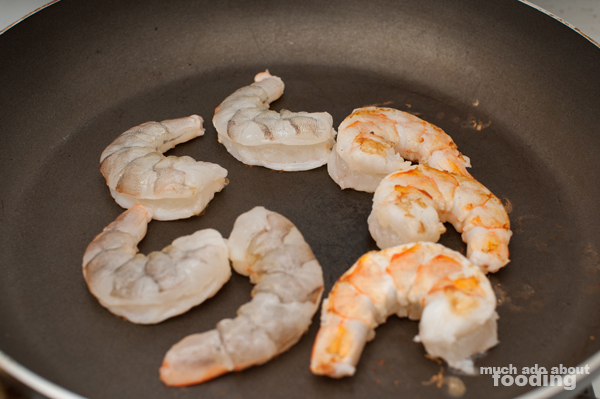 Lay shrimp into hot skillet for about a minute per side. Then add in sauce. Stir briefly before re-adding celery and cashews to the pan. Stir for 2-3 minutes before removing from heat and onto serving plate. 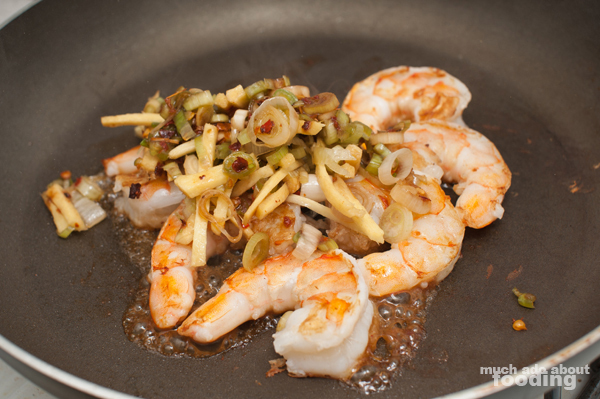 You don't want to cook too long lest the shrimp become rubbery or the celery too soft. Enjoy!